Circling around Union Market, looking for lunch options, I walked up to the counter at Cucina Al Volo. I went with the less meat option, simply a bowl of fettuccine with meatballs and meat sauce with Parmesan cheese sprinkled on. The people in front of me had ordered meatballs plus one of the many daily ragù sauces as an add-on. 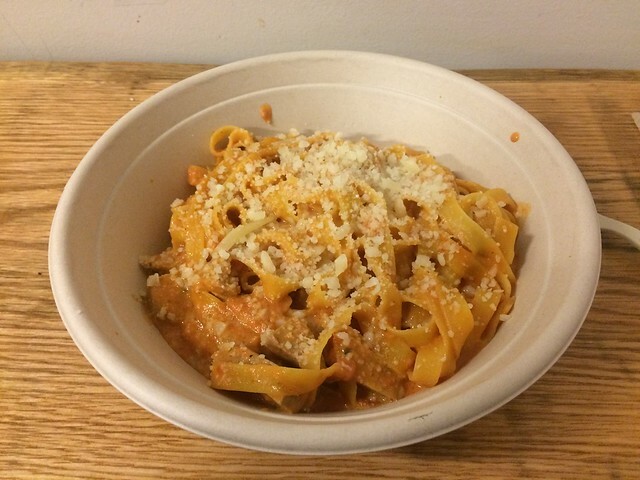 I’ve also had the fettuccine with vodka sauce, and it’s all excellent. 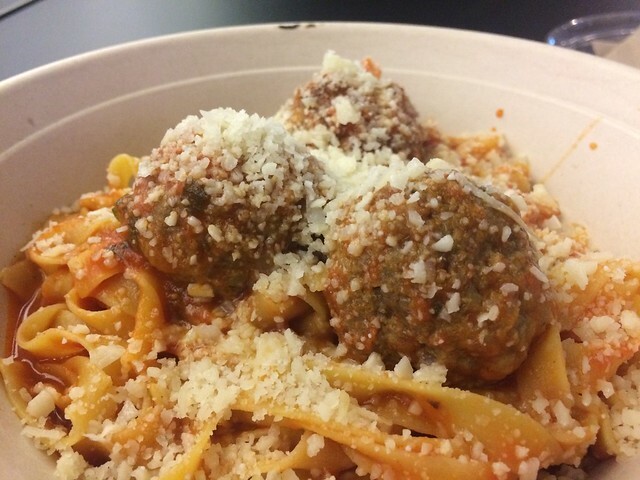 Get down to Union Market or any of their other locations and get a bowl of delicious pasta!